Longtime UO donors Nancy and Dave Petrone have helped launch fundraising for the UO’s Black Cultural Center with a $250,000 gift. The new center will serve as a place of scholarship and as a cultural and social hub. It is tentatively planned for a location on East 15th Avenue near Villard Street at an estimated cost of $3 million. The gift from the Petrones will allow design and planning for the new building to begin immediately, with ground-breaking and final construction dates to be determined. The center will be an engine for black students’ academic success, providing the room and resources to grow stronger intellectually, ethically, physically and as a community, according to Yvette Alex-Assensoh, vice president for equity and inclusion. 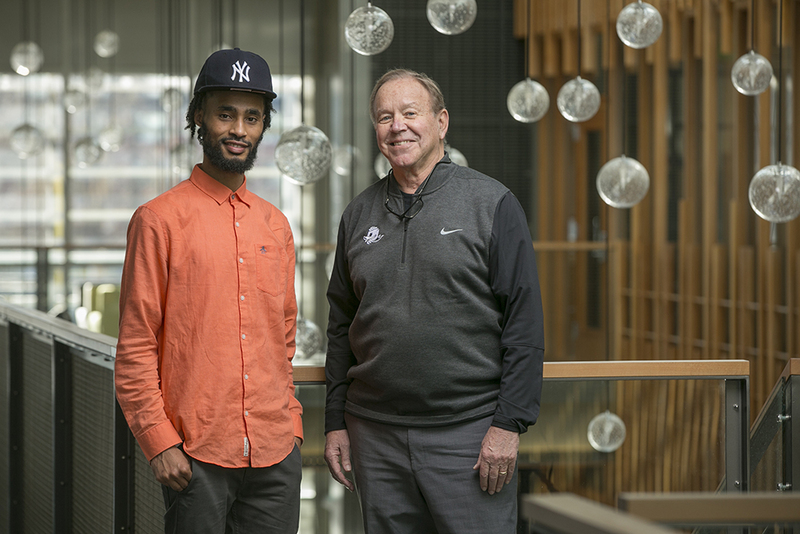 It will connect black students with resources for student success and leadership, as well as serve as a site for seminars and programs that serve the UO and all of Oregon. “With much gratitude to the Petrones for their leadership and generosity, the Black Cultural Center will be a place where the village shows up,” said Alex-Assensoh, “so that our students are engaging with academic superstars from around the country, alumni, community partners, businesses and nonprofit organizations. Our common purpose is to shape black leaders who have the capacity to change the world in a way that enhances the UO’s ability to recruit and retain black students, build interracial coalitions, and advance humanity, global citizenship, business acumen and social entrepreneurship. The Petrones have contributed to many areas of campus, including athletics’ Women in Flight program, renovation and expansion of the EMU, support for the Allan Price Science Commons and Research Library, the Lundquist College of Business, the School of Journalism and Communication, and Presidential Scholarships. As they were considering this gift, they heard a recurring comment among African-American students. The Petrone family’s gift will provide support for the building’s design, construction and maintenance. Anyone can donate to the fund online. The Black Cultural Center was one of 13 demands that were delivered by the Black Student Task Force in 2015. The UO has already implemented half of the demands, including the creation of the Umoja Academic Residential Center, the creation of an African American Opportunities Program, accelerated efforts to recruit African-American students to the university, and the hiring of African-American faculty members, including the launching of a new African-American studies cluster in the College of Arts and Sciences. In a statement from its members responding to the gift, the Black Student Task Force said a key goal of the new Black Cultural Center is to connect black students to their unique history and heritage, and serve as a place of community.